This set is comparable to other 20 piece sets offered by many jewelry supply outlets (RG $160, C $159, OF $187.95, etc). I purchased this marked set from US Army-Ft. Sill, OK when they closed the art center on base in the mid 90’s. 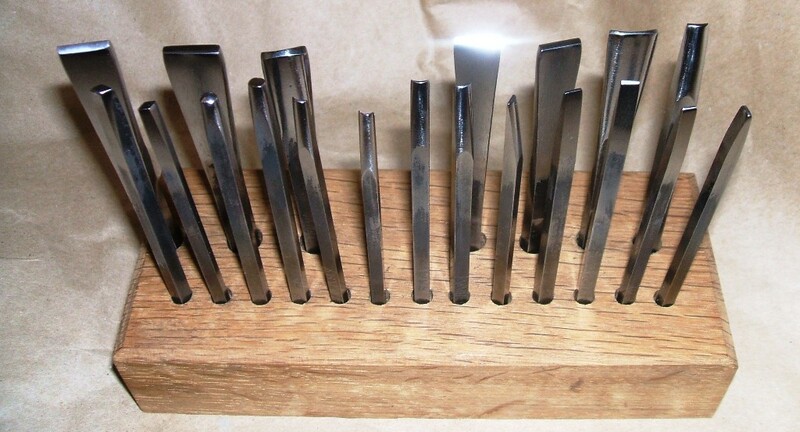 The set is cleaned and polished ready to use or for you to dress/alter tools to your particular style and needs. Images are of this set offered for sale and are not stock images. Included is an oak base. $95 for one set chasing tools with oak base. 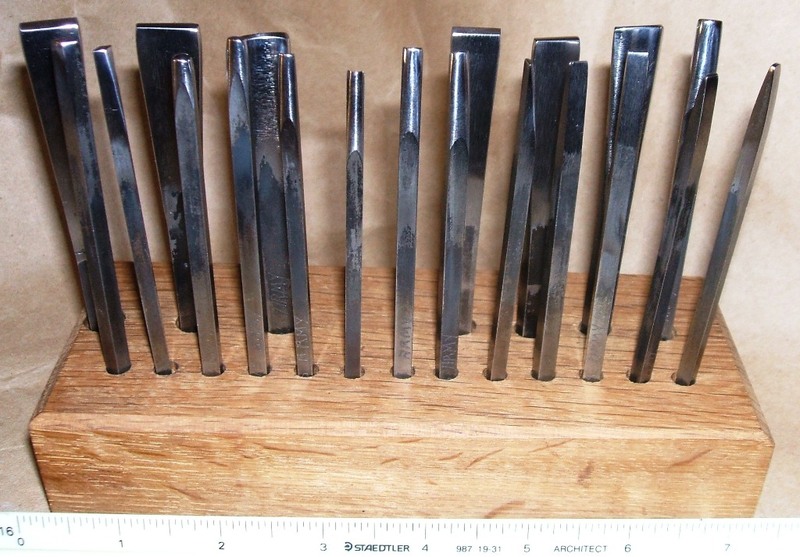 This entry was posted in Jewelry jewelers bench tools and equipment for sale and tagged art metal, chasing, for sale, metalsmith, repousse, silversmith, tools. Bookmark the permalink.